I’m a sucker for headlines. I pick up my daily newspaper and I’m drawn to good headlines. I’m flipping through TV channels and I hear “after this break, we’ll…” and I’m instantly attracted. I wait through the ads just to hear what will be said or revealed. Why do we have headlines? Chapter titles? Subheads? Because they work. They draw us into the full story. Headline writers are poets. They can condense the whole story down to a few words. And every word has a larger value. So, if a great headline writer researched your company, and edited it down to a short, enticing headline (that would get your potential audience interested in you); what would it be? Know who you’re talking to. A headline is wasted if it’s not directed on a particular audience. 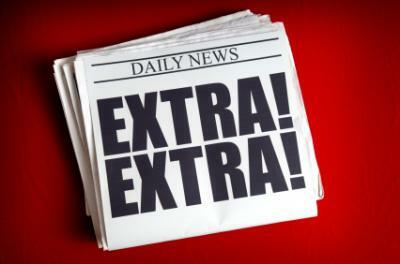 It’s almost impossible for a headline to reach, snag, gain the attention of everyone. Know what that audience wants. In order to do this; you have to know their pain. Because every pain needs something in order to make them feel better. Do they simply want information? An insider look? Something exposed? Think benefit-based language. Use great words. Headline writers are great at using few words that inspire, inform, and lead an audience. Words like: Absolutely, Exciting, Guaranteed, Exclusive, Outstanding, New, Startling, Strange, Rare, etc. If you don’t have a headline that’s compelling and will breakthrough; you better start thinking now. You have a great story; but in the newspaper of many life stories; another headline will grab attention over yours. I personally liked your headline about killing the worship guide. It was a strange enough invitation for me to get pulled in.